You never get sick. Ever! You can’t even remember the last time you were sick with a cold or the flu. Newsflash: That most likely is NOT a good thing! Both an insufficient number of immune cells and/or ‘lazy’ immune cells may lead to your body’s inability to mount a proper response to various pathogens. This often leads to a lack of overt cold/flu symptoms but causes an ever increasing pathogen load to accumulate in the body. Our parents, teachers, etc., taught us that ‘getting sick’ involved a sore throat, cough, runny nose, etc. If you didn’t get those symptoms, you simply weren’t sick. I’d like to propose an alternate explanation: While getting a frequent cough, cold, fever, etc., may not be desirable, never getting these symptoms is also not beneficial. In many cases, never getting the signs and symptoms of a cold or the flu may mean that we are accumulating pathogens (viruses, bacteria, mycoplasma, etc.) and that we lack the ability to mount an efficient immune response. Instead, the high total body burden of pathogens may manifest as fatigue, brain fog, insomnia, depression and even cancer. Common viral infections include Epstein-barr virus, HHV-6, Cytomegalovirus (CMV), Parvovirus, Coxsackie A and B virus, and several others. While we’re all exposed to these viruses, they become active only under ‘opportunistic’ conditions. You see, viruses are not technically alive — they need our cells in order to replicate. They incorporate their DNA into our DNA. If our immune system does its job, we are able to silence the viral DNA and prevent its expression. In today’s world, very few of us have an optimal immune system. Emotional stress, financial pressure, long work hours, exposure to chemical toxins and other stressors lower our immune function. But what can you do to optimize your immune function? That’s what this report hopes to accomplish. I’ll outline 12 actionable steps to help bulletproof your immune system and live an optimal life in today’s world. Stay tuned for subsequent blogs in the coming weeks as I reveal even more steps to help you create an invincible immune system. Optimize Methylation: Methylation refers to a series of roughly 100 reactions that are responsible for the production of T-cells (very important immune cells), glutathione (also important for immune function), energy production, and the creation of serotonin and dopamine. People with 1 or 2 copies of MTHFR — the enzyme that converts folic acid into methylfolate — tend to have lower immune function. These people will benefit from supplementation with methyl folate and B12. B12 and methyl folate always work together and are the major players in the methylation reactions. One should aim to avoid foods fortified with folic acid, since those with MTHFR have a reduced ability to process this substance. Elevated levels of folic acid have been shown to lower the number of natural killer cells (important for immune function) in the body. Optimize glutathione levels: Glutathione is made through methylation. Therefore, we must optimize methylation to create our own glutathione. However, in today’s toxic world, this is rarely enough. Every time we encounter environmental toxins, such as organic pollutants, BPA, heavy metals, etc., we use up some of our glutathione stores. In addition, emotional and psychological stress deplete our glutathione levels. Therefore, supplementing with glutathione helps to fortify our immune cells. One problem: oral reduced glutathione is not well absorbed. The most well-absorbed form of glutathione include liposomal glutathione and transdermal glutathione. Optimize thyroid function. Thyroid function affects every cell in the body. Poor thyroid function=poor immune function. Thyroid hormone is needed for the creation of T and B cells. But several other systems affect thyroid function. Our adrenal glands — responsible for responding to both external and internal stress — impact thyroid levels. Too much or too little cortisol will negatively affect our ability to convert T4 to T3. Our gastrointestinal tract also impacts our ability to convert T4 to T3. Optimizing thyroid function requires ensuring optimal levels of Vitamin D, vitamin A, iodine, selenium and zinc. Optimize digestion. Roughly 70% of our immune system resides in the digestive tract. I suggest beginning by having a stool test, such as the Metametrix G.I. Effects Test or the stool test from BioHealth Diagnostics done. Any pathogens found must be eradicated. These include, but are not limited to, H. Pylorii, roundworms, pinworms, Candida Albicans, Proteus mirabolis and many others. Some tests, such as the Metametrix G. I. Effects Test, will indicate the levels of good bacteria found. Two general categories of good bacteria exist in our colon — Lactobacillus spp and Bifidobacteria spp. If discovered to be low, one should supplement with the indicated probiotics in order to optimize immune function and digestion. If pancreatic enzymes or bile appears on the test in insufficient levels, one should also supplement with these to ensure optimal absorption of food. 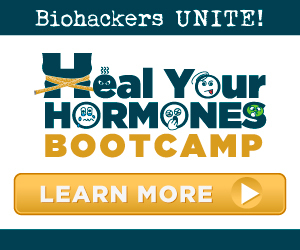 Heal a permeable/leaky gut barrier. Antibiotics, high cortisol and food sensitivities all contribute to a leaky gut barrier. This allows substances that should remain in the G.I. tract to gain access to the bloodstream. Anything that breaches the gut barrier will be viewed by the immune system as an invader. The immune system then mounts a response against these molecules — food, bacterial toxins, yeast toxins, etc. Constantly having to mount a response against these substances eventually exhausts the immune system. Meditate. Chronic emotional and psychological stress leads to adrenal activation and elevated cortisol levels. Over time, this serves to damage the thymus gland, an important structure in immune function. In addition, chronic stress can cause sympathetic dominance, where the body becomes stuck in overdrive. Lack of parasympathetic activity impairs our ability to heal, sleep, digest, etc. The EmWave 2 from The HeartMath Institute is a good program that serves as a biofeedback device and aids coherence between the heart and the brain. Alkalize. High protein diets, elevated cortisol and a lack of veggies leaves the body in an acidic state. This impairs many functions, including our ability to detoxify, transport nutrients and many others. How can this be corrected? Increasing your veggie intake can help. Adding real lemons or limes to your drinking water may also help to improve pH levels. Lastly, including a ‘greens’ or a ‘reds’ drink can offset the acidity from a high protein diet. Optimize DHEA. DHEA, aka the ‘youth hormone,’ serves an important role in not only energy production, but also immune function. Low DHEA levels lead to lower natural killer cell counts. Natural killer cells are instrumental in combating invading microbes. In addition, high cortisol and low DHEA leads to lower secretory IgA levels. Secretory IgA serves as the patrol officers of our mucous membranes. Low sIgA allows pathogenic microbes the chance to latch onto the mucous membranes in our digestive tract, nasal cavity and lungs. One can supplement with DHEA orally, sublingually, or topically. I prefer the topical or sublingual forms, as they are less likely to convert to estrogen. Stop using fluoride toothpaste. Not only does fluoride calcify the pineal gland, it also serves to inhibit thyroid production. Tom’s of Maine is a good brand that offers several fluoride-free options. Studies show that fluoride lowers IQ as well. Still think that it’s a good idea to use it? Balance your circadian cycle. The amount of sleep you get is not as important as when you go to bed and when you wake up. Try to be in bed by 10:00-10:30 p.m. The hours between 10:00 p.m. and midnight are critical for detoxification and for maximizing IGF-1, the active component of growth hormone. Make sure that you sleep in complete darkness. Not even a night light. Get rid of your amalgam fillings. If you have mercury amalgams, have them removed by an experienced biological dentist. The right conditions must be used to ensure that you don’t re-absorb any of the mercury as it is being removed from the body. Decrease your wifi use. EMFs, such as wifi, can wreak havoc on our bodies, especially if you are dealing with multiple other metabolic stressors. According to Dr. Dietrich Klinghart, EMFs send signals that cause bacteria, viruses and other pathogens to reproduce at a faster rate. In addition, EMFs tell mold spores to produce more potent mycotoxins. If you are someone who has difficulty detoxing biotoxins, this proves to be especially important. Hardwire into your Internet connection. Only use your cell phone when absolutely necessary. Completely unplug wireless at night.